Today the clinic is owned by Corey Pritchett, Robert Kelland, and Adam Chambers and has ten staff members, including six physiotherapists. Nova Physiotherapy Inc. was established in St. John’s by Lorraine Vardy and Josephine Crossan in 1983. Today the clinic is owned by Corey Pritchett, Robert Kelland and Adam Chambers and has ten staff members, including six physiotherapists. All physiotherapists are registered and in good standing with the Newfoundland and Labrador College of Physiotherapists and are members of the Canadian Physiotherapy Association. Providing quality treatment, Nova Physiotherapy is a busy orthopaedic and sports injury clinic and offers other services including an osteoporosis program. 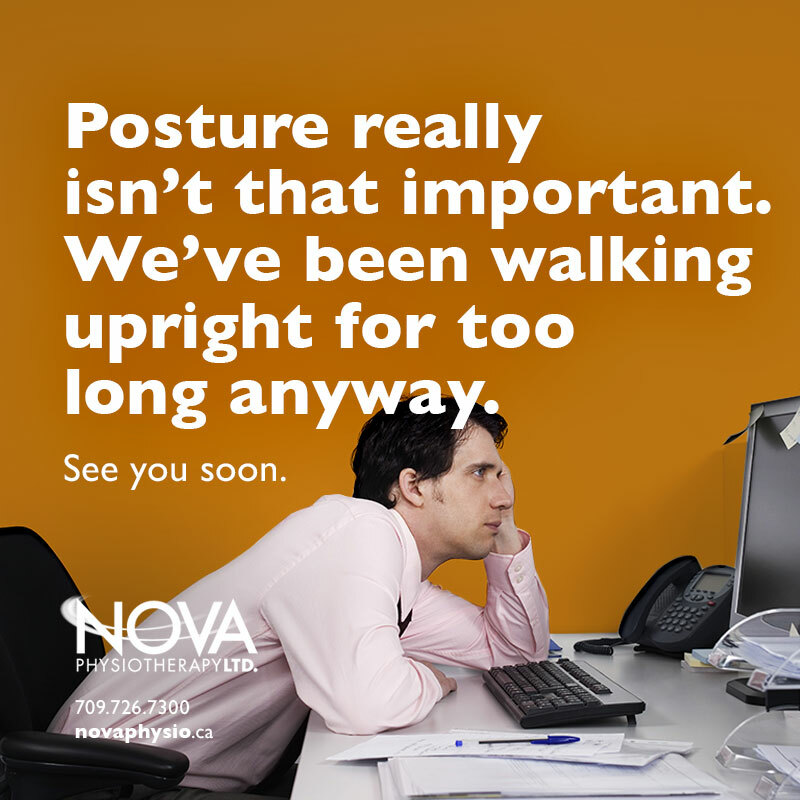 With the only KIN COM™ computerized muscle retaining in the province, Nova Physiotherapy provides in-clinic services to clients at its ground floor, wheelchair accessible office and offer limited availability for home visits. Dedicated to being a strong corporate member of the community, Nova Physiotherapy has supported many local sporting events and individual athletes over the years. We host lectures on various topics for groups around the community, working with such groups as the Running Room, YCMA, Newfoundland Athletic Dogs Association and the Arthritis Society, to provide information about healthy mobility. Nova Physiotherapy is committed to quality training of future physiotherapists. We partner with the Memorial University School of Kinesiology’s co-op program to provide work terms for those interested in pursuing a career in physiotherapy. We also provide clinical placements for those students finishing a physiotherapy masters program, having worked with students from Dalhousie University. Various rugby, soccer, gymnastics and basketball teams throughout the year.